Panasonic Eluga Arc will be appealing to anyone who shelters a soft-corner for compact, easily manageable smartphones. The new Eluga Arc joins the club of affordable fingerprint sensor handset, except that it's not all that affordable. The best price of Panasonic Eluga Arc in India is 12,490 INR, which isn't all that competitive when compared to other rival offerings. True to its name, the Eluga Arc has a curved rear back, very slim around the edges. This makes it comfortable to hold in hands. on the minus side, the beefed-up vertical bezels don't add up for the pretty picture. The 4.7 inch display has sufficient 720 x 1280 pixel HD resolution. The display is layered with 2.5D glass on top. Overall, the handset looks good. Android Lollipop running Eluga Arc is powered by entry-level Snapdragon 410, backed by 2GB RAM, 16GB storage and Adreno 305 GPU. The hybrid SIM card tray allows you to add secondary MicroSD storage at the expense of second SIM card. For photography, the handset includes an 8MP rear camera paired with a 5MP front camera. Under the hood, there is a modest 1800 mAh battery. The battery capacity isn't quite assuring, but you can find some solace in QuickCharge support. Other features include 4G LTE with voLTE, WiFi, Bluetooth 4.0 and Infrared sensor. 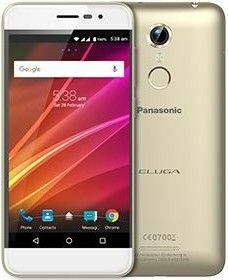 Lowest price of Panasonic Eluga Arc isn't very competitive. Hardware specifications involved will make it tough for Eluga Arc to compete with Le 1s, Honor 5X, Lenovo K4 Note and Redmi Note 3 in online space, but the handset might hold its ground in the offline market. Will update you with more information regarding where you can buy Panasonic Eluga Arc online in India as soon as it surfaces. both sim can use 4G - Setting can choose which one. 4G - Jio is supported.